The Bible tells us that a “virtuous woman is a crown to her husband.” What does virtuous mean? It is a woman with high moral standards, chaste, righteous, good, and pure. She loves the Lord deeply and tries to be obedient to His Word by walking in the Spirit. She is prudent with the money her husband makes by using it wisely and carefully. She works with willing hands and does it cheerfully. Her children can even hear her singing often, making melody in her heart. This gives her family a feeling of comfort and security. She makes sure the children behave and are trained in all the ways of godliness. She teaches them about Him throughout the day. Jesus is the center of her life and everyone knows it and can easily see it by the expressions on her face and the light in her eyes. She is kind to others, generous, and loves to be hospitable. She is a gracious mother and her children rise up and call her blessed. She has compassion on those in need. She has wisdom from her time in the Word and listening to godly male preachers. She encourages and promotes the excellent things in life. She treats others with respect and honor. She is faithful to and honors her husband. When she and her husband are with company, she allows him to do most of the talking without interrupting or correcting him. Others easily know that she respects him and that he is her head. She dresses modestly and adapts her life to her husband. She accepts reproof from him, even though it is hard, and she doesn’t try to point out his errors in retaliation. 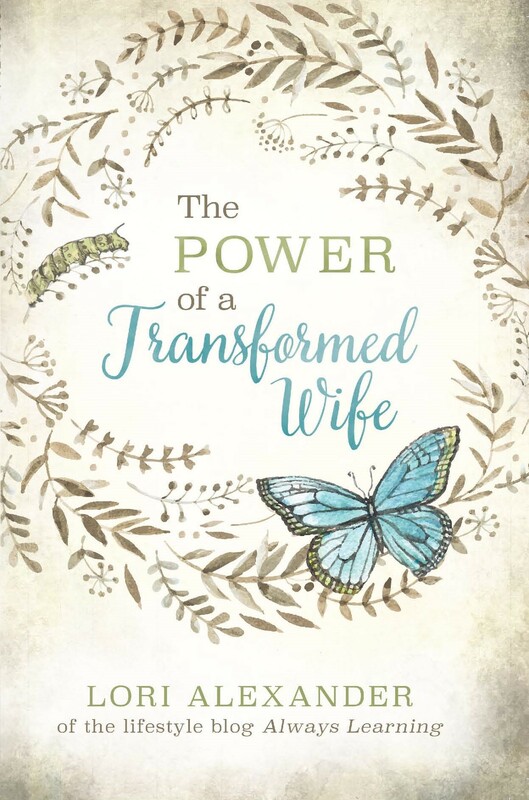 She is continually asking the Lord to show her how to be a godly, gracious wife to her husband and mother to her children. A woman who makes her husband ashamed causes his life to be miserable and is rottenness to his bones. She has no self-control in areas that concern him such as finances, housework, or cooking. She spends her time on selfish pursuits and rarely thinks about her husband. She gives no effort to trying to make his life better in any way but takes him for granted and even uses him for what she wants. She nags, manipulates and quarrels with him. She is contentious and argumentative. There is rarely any peace in the home. She makes her husband’s life miserable. There is much division and disharmony. She has a long list of Honey-do lists and nags him until they are accomplished. She wastes her time on the trivial things in life, such as what Hollywood stars are divorcing, or what they are wearing and doing. Her husband is continually ashamed of her and regrets ever marrying her. 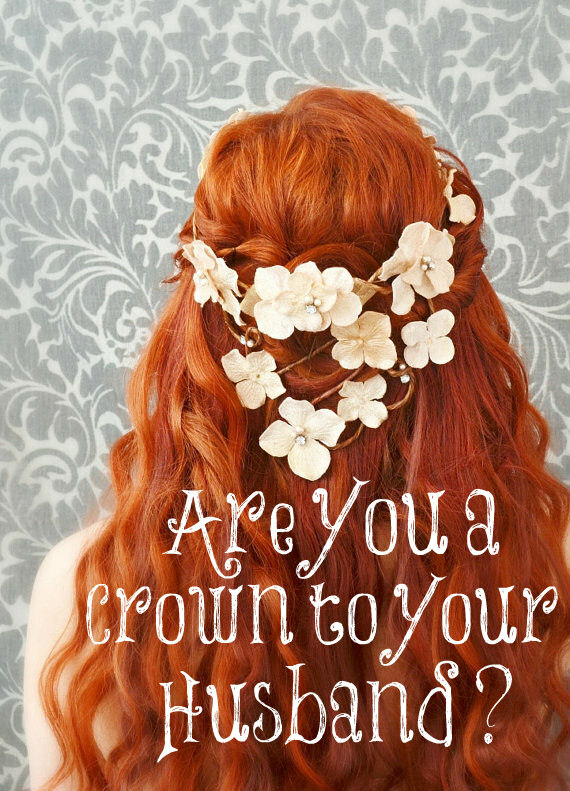 Are you a crown to your husband or rottenness to his bones? what happened to your last post about when your husband yells at you? Its completely disappeared! Why did you delete it? I thought it was quite good. I’m trying to be a crown for my good husband’s head! Tall order, but through Christ, I can. FYI: The link for your post titled something about “He Yells at Her” is not working. I love that we can do all things through Christ who strengthens me! I took down the post, Kelley, for private reasons. Goals. Not there yet (by a long way) but trying. Godly womanhood is a journey thankfully, Rae!